Fission; non-equilibrium fission; equilibration time. Synthesis of heavy and superheavy elements is severely hindered by fission and fission-like processes. The probability of these fission-like, non-equilibrium processes strongly depends on the entrance channel parameters. 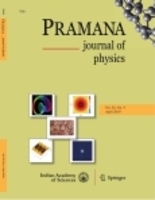 This article attempts to summarize the recent experimental findings and classify the signatures of these non-equilibrium processes based on macroscopic variables. The importance of the sticking time of the dinuclear complex with respect to the equilibration times of various degrees of freedom is emphasized.